How Representative is the 116th Congress? 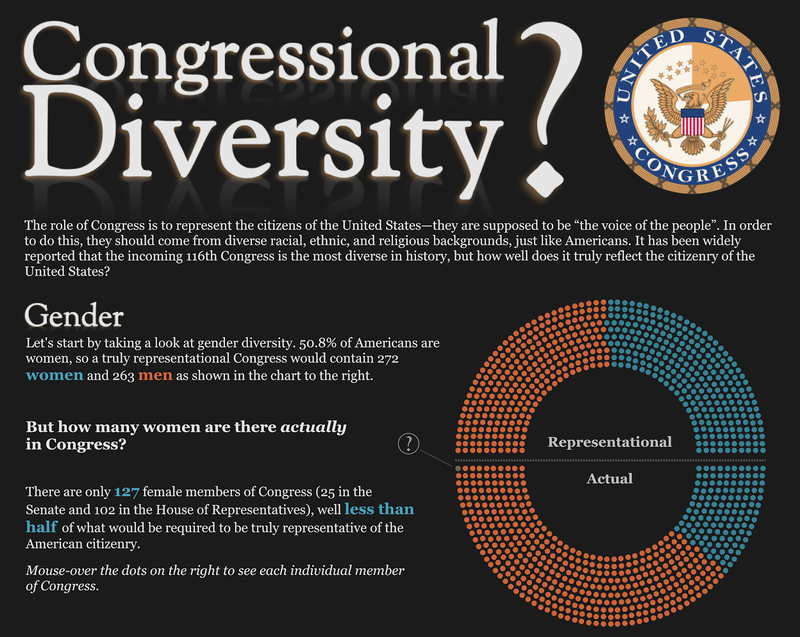 A couple years ago, I looked at the 114th Congress of the United States and compared its diversity to that of the nation as a whole. At the beginning of this month, the 116th Congress officially took office, so I decided to take another, more detailed, look at legislative branch’s diversity. Everything's in the visualization, so click on the image below to have a look.